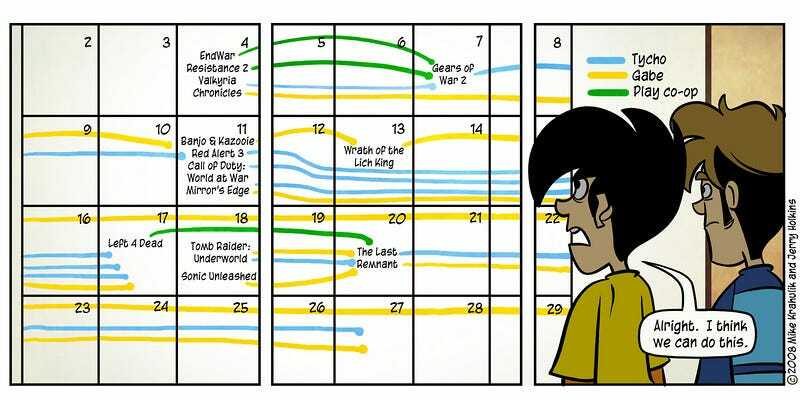 Everyone (well, everyone reading this, at least) has a gaming backlog. There are just so many games constantly coming out, even in 2017 alone, that it’s almost impossible to keep up with them all. So we say, “I’ll play this later, after I beat this game,” but then another game comes out that distracts your attention, and soon enough it’s been years and the next Fire Emblem game comes out while you still haven’t beaten the most recent one, or should I say three, because somehow Intelligent Systems found a way to release three full Fire Emblem games on the same day. Just hypothetically, of course. And then there are the retro games. Some of you readers might be old enough to where this hasn’t been a huge problem. You were there from the start, playing video games from the beginning of the console resurgence with the NES onward. Or at least you were there for the SNES, or Genesis, or even the original PlayStation. I, with my youthfulness that I know I’ll so desperately wish I could have appreciated more half a century from now, got started in the late GameCube/ early DS era, and let’s just say that I spent considerably less time playing that era’s greats like The Wind Waker and Super Mario Sunshine and a whole lot more time playing and replaying Happy Feet: The Video Game. And that’s not even to mention that I still don’t own a PS4 or XBox One and am thus missing out on so many titles that I’ll really have to just pick my battles when I inevitably do buy one. Essentially, I put three game cases on my music stand that I don’t use in my room. If it’s digital or doesn’t have a case, then I’ll take a post-it note, write the title on it, and stick it over poor old Mozart. (Who needs classical music when you can play video games!) With some exceptions that I’m about to go into, these are the only three games that I allow myself to play. That’s the gist, but I’ve created a lot of little rules to make sure it works as intended. The number of case/ post-its is always three unless I have beaten or otherwise gotten tired of playing one of the games on the stand, in which I have one week to find a replacement. I don’t have to play any game on the stand any number of times per week or anything like that, but if I’m not playing it for a long period of time, I’ll usually replace it with something else. I can switch out games at any time: for example, when ARMS comes out, I’ll probably move Final Fantasy IV off the stand, but once I finish with another game on the stand, I’ll stick it back on. And speaking of multiplayer games like ARMS, they all have to go on the stand if I want to play them unless I’m playing local multiplayer. Finally, I try not to have games from the same series or similar genres on the stand. If it happens, it’s fine, but I try my best to avoid it. I also have my game stand positioned right next to my game shelf so that I can easily switch them out and see all of my options in front of me. It might sound convoluted, but it’s not like I came up with all of these rules all at once. I started with the general idea, and revised and tweaked it over the following weeks to see what worked and what didn’t. There’s still room for improvement, but I think my little game stand is getting pretty close to fulfilling its purpose of breaking that backlog down, little by little. You see, I have a problem about forgetting about games. For example, I picked up Mario & Luigi: Bowser’s Inside Story a few years ago at a Half-Price Books, thinking that I should give it a shot after googling some reviews. And I liked what I played of it, but eventually moved on to other games and completely forgot about it. And that’s just the tip of the iceberg. Just looking at my shelf, I have yet to beat or even start Metroid Prime, Super Mario Sunshine, Okami, Shovel Knight, Super Mario 3D World, Yoshi’s Woolly World, Fire Emblem Fates: Revelations, Pokémon Y, The Legend of Zelda: Tri Force Heroes, Xenoblade Chronicles 3D, Pokémon Black, and The World Ends With You. I know there are more. The game stand helps by constantly reminding me of what I need to play without overwhelming me since there are only three games up there at any given time. It’s harder for me to forget to play Final Fantasy IV when I see its post-it every time I enter my room. The rules I made surrounding this general idea are really just to stop myself from making a loophole for my own system and the system from being so harsh that playing video games is no longer fun. It’s been working pretty well. Days after starting it, I finally got back into Fire Emblem Fates: Conquest and beat it in just a few days. I then got back into Final Fantasy IV to hopefully resume my review-in-progress of that soon. I hooked up the NES Classic for the first time and started educating myself about that fledgling time in video game history with the world-famous Super Mario Bros.
And I’m also playing The Legend of Zelda: Breath of the Wild because, come on, it’s freaking Breath of the Wild.